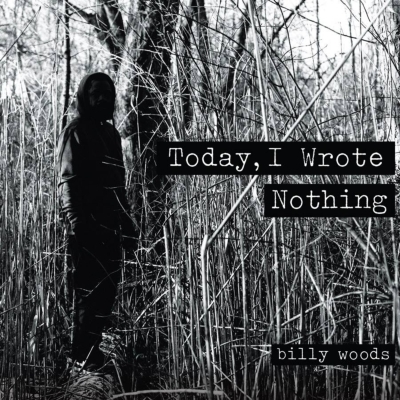 Backwoodz Studioz is proud to announce the release of Billy Woods' new album, Today, I Wrote Nothing. This is the first new Billy Woods solo work since his critically-acclaimed 2013 collaboration with Blockhead (Ninja Tune, Definitive Jux), Dour Candy. That project was itself a follow-up to woods' 2012 masterpiece, History Will Absolve Me, cementing Billy Woods as one of the most vital artists in the genre. The new album features production from Messiah Musik, Bus driver &Aesop Rock, Blockhead, Willie Green, Jun classic and Steel Tipped Dove. Today, I Wrote Nothing also features several guest appearances by label mates, Elucid, woods' longtime partner in the rap group Armand Hammer, and Henry Canyons. Only 500 copies are being pressed in this run of limited edition CDs.